Thank you so much for your refrigerator suggestions from my last post! Most of you seem to really love your french doors with freezer on the bottom, and you all gave us many good things to consider. We're heading out to shop tomorrow, so hopefully it will be an easy decision. 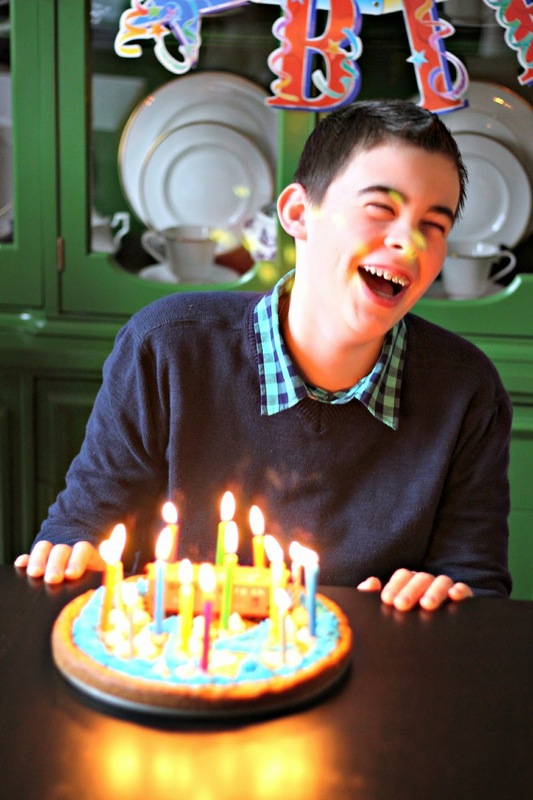 Over the weekend we celebrated my son's 14th birthday. I'm not sure how 14 years have flown by so quickly. 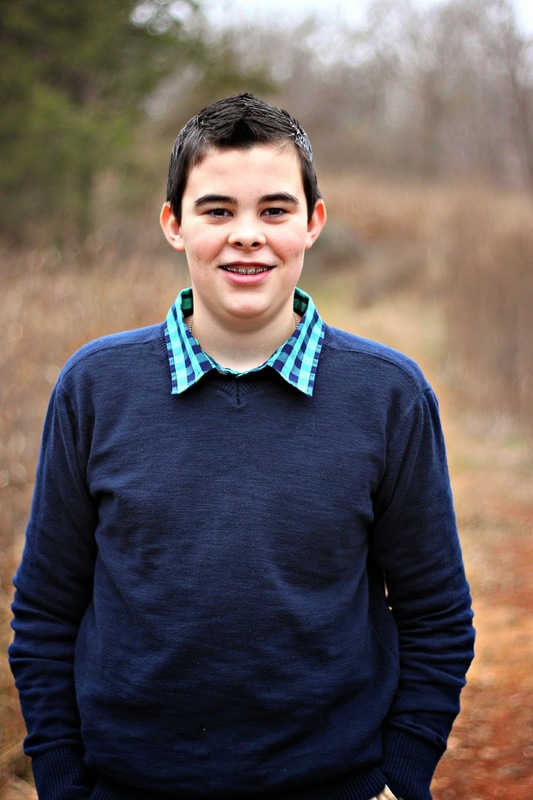 He's a fantastic kid and we are so proud and blessed that he belongs to us! 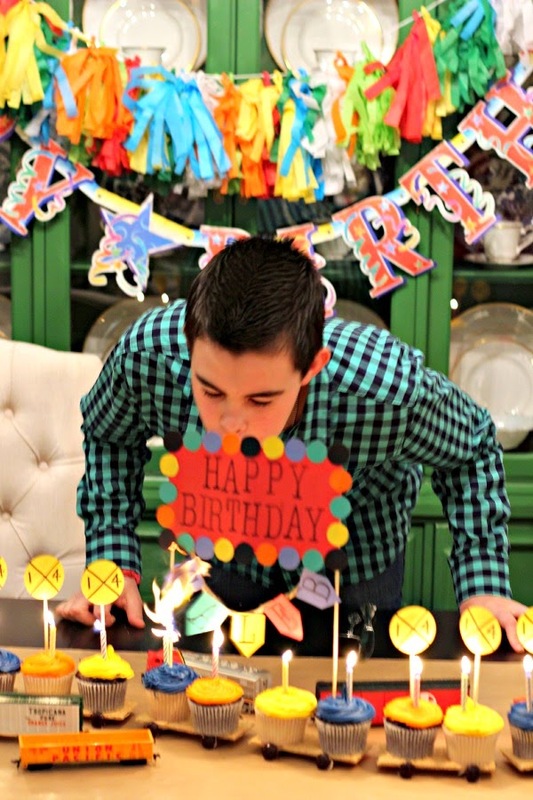 If you've been reading a while you know that even though they are by no means perfect, I enjoy making my kids' birthday cakes, usually centered around whatever they are most interested in at the time. Well, this year, he's crazy about trains. My Mom gave him a small starter set years ago, but over the past year or so he's really developed an interest in playing with it (and can I just state that I'm kinda glad he's 14 and still interested in playing with toys?!?). He even has a notebook that he takes in the car with him every time we go somewhere so he can keep track of the numbers of the engines and different lines he's seen. When he develops a new interest he definitely goes all out! 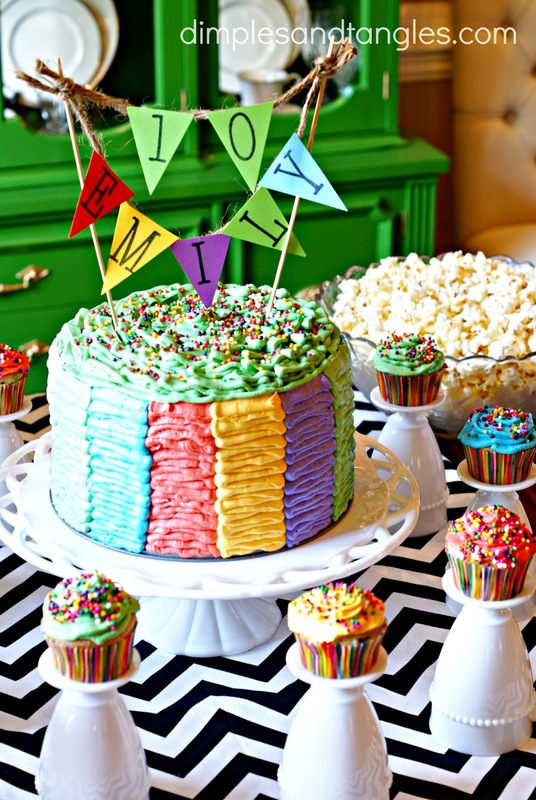 When gathering ideas for this year's cake, I came across this darling cake on Pinterest from Making it Lovely. 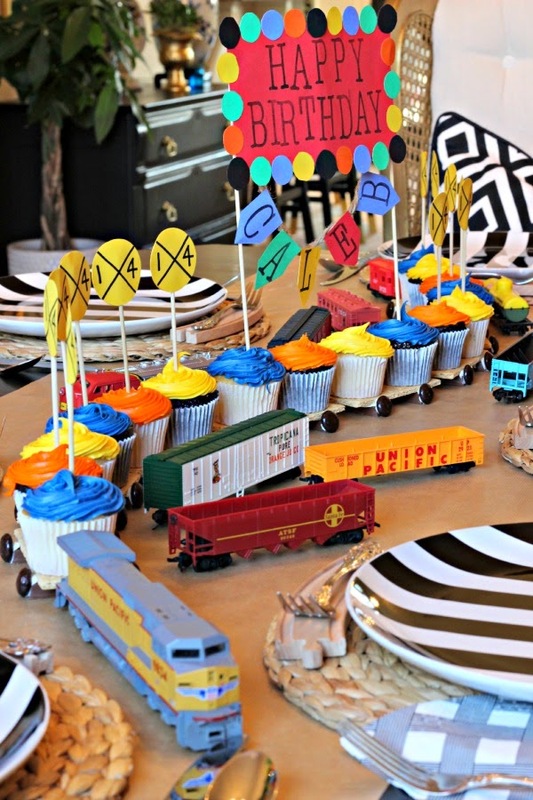 We tweaked it just a little bit so I'll share what we did to make this darling cupcake train! 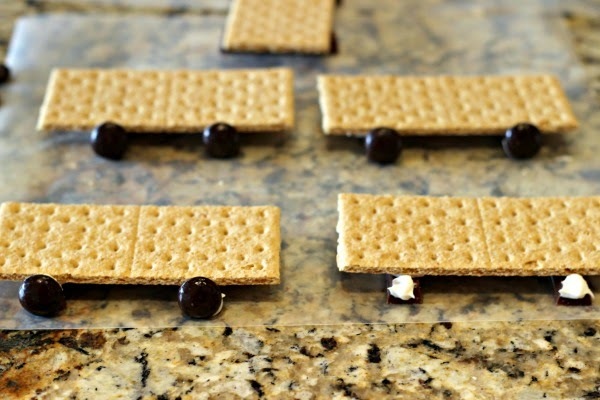 For the cars, we used graham crackers, kit kats (the fun-size ones sold in a 12 pack strip), and junior mints. My lovely assistant piped a quick stripe of icing on each end of the cracker (we just used a tub of premade icing, emptied into a ziploc back with the corner snipped off to act as a pastry bag), then we stuck the kit kat to that. After allowing that to set a bit, we flipped them over. They support the car and act as an axle for the wheels. 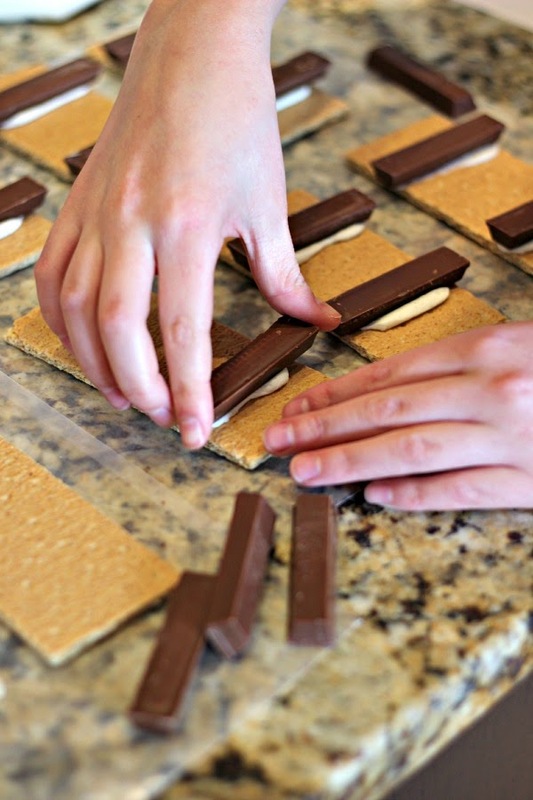 Then, we piped a dot of icing on each end of the kit kats and stuck the junior mints there. As I was assembling I realized I should have picked up chocolate icing and it would have blended in better, but oh well! After allowing them to sit and harden up for several hours, I arranged them down the center of the table, added the engine and caboose, and 2 cupcakes to each car. We used store bought cupcakes and I was happy to cheat just a little bit on that part, but still feel like I had a special part in "making" the cake. I used some stamps and scrap paper to make a little banner message, and a circle punch to make the "14" RR Crossing toppers. Striped plates from Ikea played along with the theme, and I used some extra train cars and wooden track pieces for decoration as well. The tassel banner is from my Christmas Entry with a few more colors of tassels added in. His actual birthday was the day after the party. I made a quick cookie cake so he'd have candles to blow out. I got a weird glare and can't remember what he was laughing at, but I love this one too. Can someone please tell me how to make time slow down? We're a semester away from High School! how fun! love those photos of him smiling and laughing! 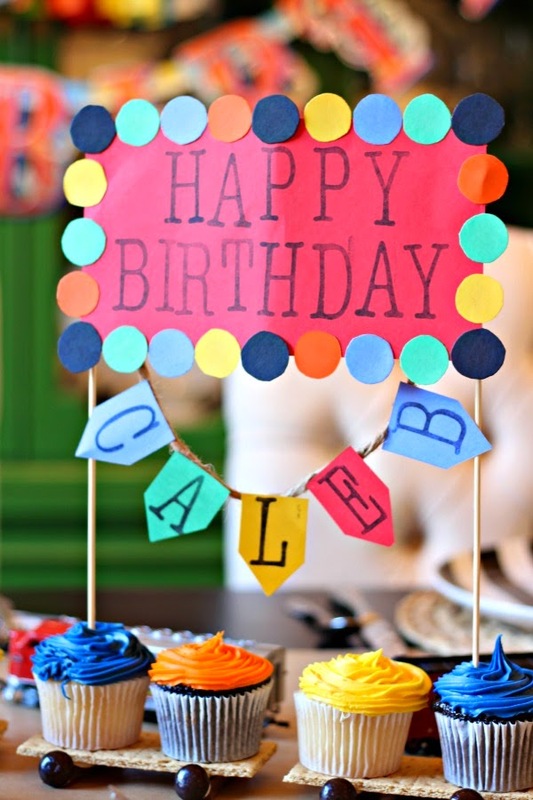 Happy birthday to Caleb!! 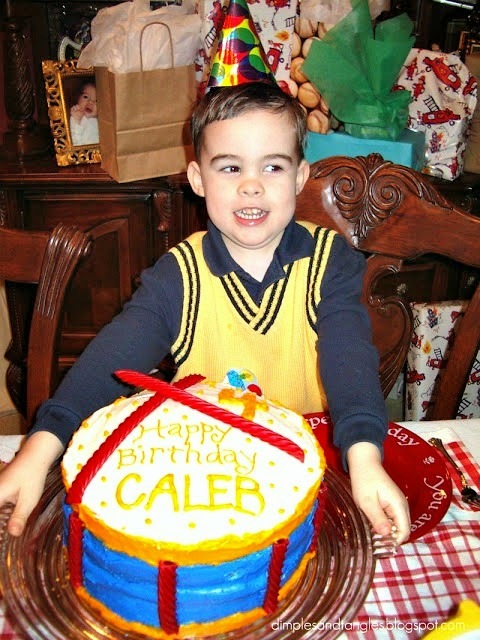 He looks like he enjoyed the festivities and I'm sure he'll always remember these fun cakes and how special you made his birthdays. 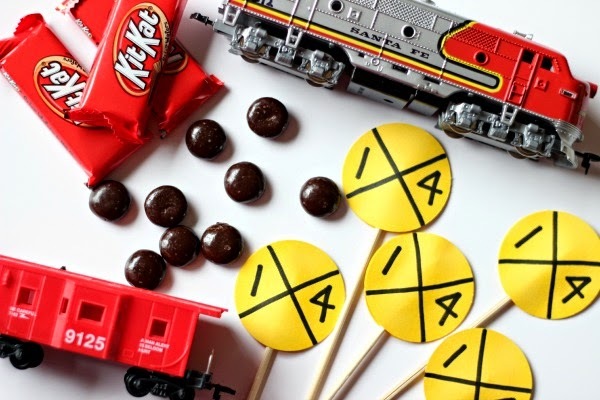 Love your idea to make the train cars, so clever! He really is such a sweet boy Jennifer! I have yet to find the pause button, but if I do I'll let you know! Awww that is so sweet. And it might never go away, my dad is 77 and he loved trains all his life and played with them even as a grown up man. Seeing different engines and tracks still makes his day. Adorable! I think it's awesome that he is still interested in stuff like that. Kids grow up way too fast these days! 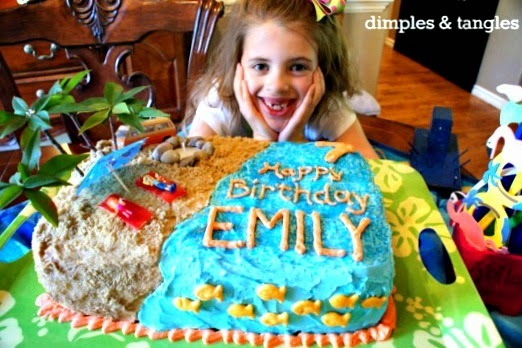 I love the other cakes you've made too, so cute! I just love that your son is not growing up too fast in this world that seems to push our kids to act older than they are. 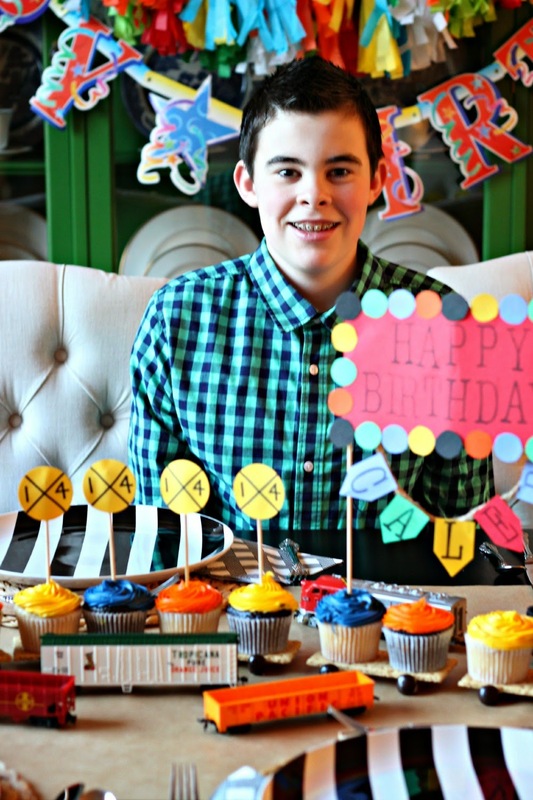 What a wonderful way to celebrate with his interest in trains. Congrats to all of you! I always love checking out your cakes, super cute!! 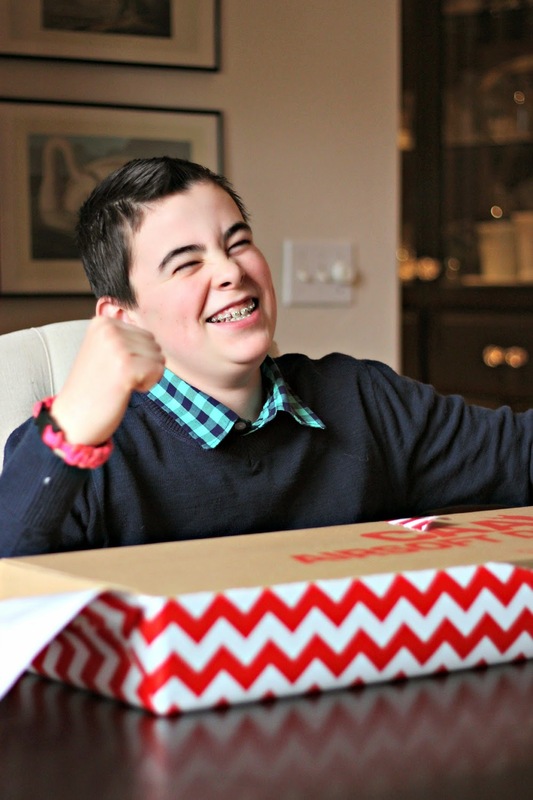 What great pictures you captured of him having such a wonderful time! So cute! 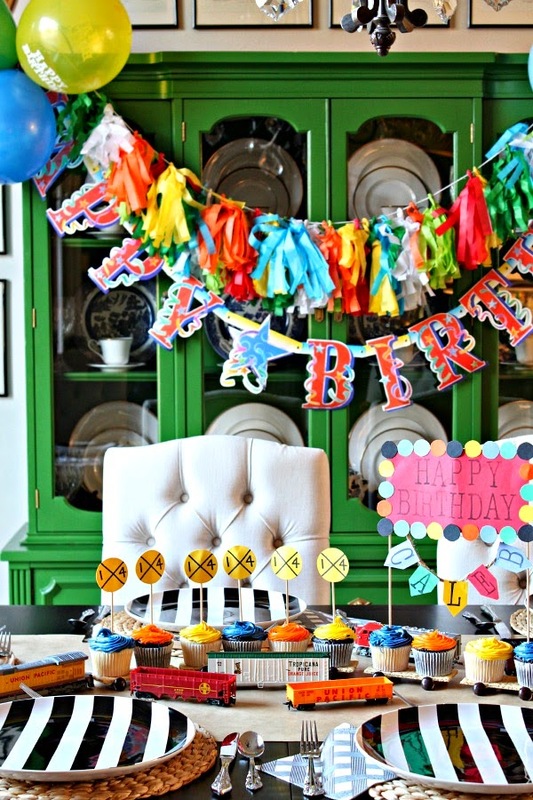 We are doing a train birthday for our boys, cannot wait!